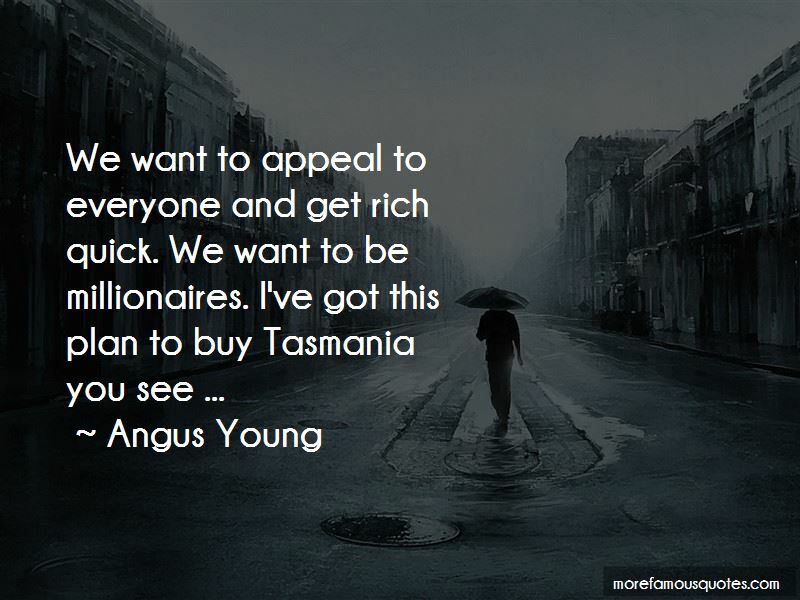 Enjoy the top 28 famous quotes, sayings and quotations by Angus Young. I never bothered with cars. I was probably one of the few kids in school who didn't run around with hot-rod magazines. As I would be at home fiddling with my guitar, they would be fiddling with a car engine. Actually, because I'm so small, when I strike an open A chord I get physically thrown to the left, and when I play an open G chord I go right. That's how hard I play, and that's how a lot of my stage act has come about. I just go where the guitar takes me. It's just rock and roll. A lot of times we get criticized for it. A lot of music papers come out with: 'When are they going to stop playing these three chords?' If you believe you shouldn't play just three chords it's pretty silly on their part. 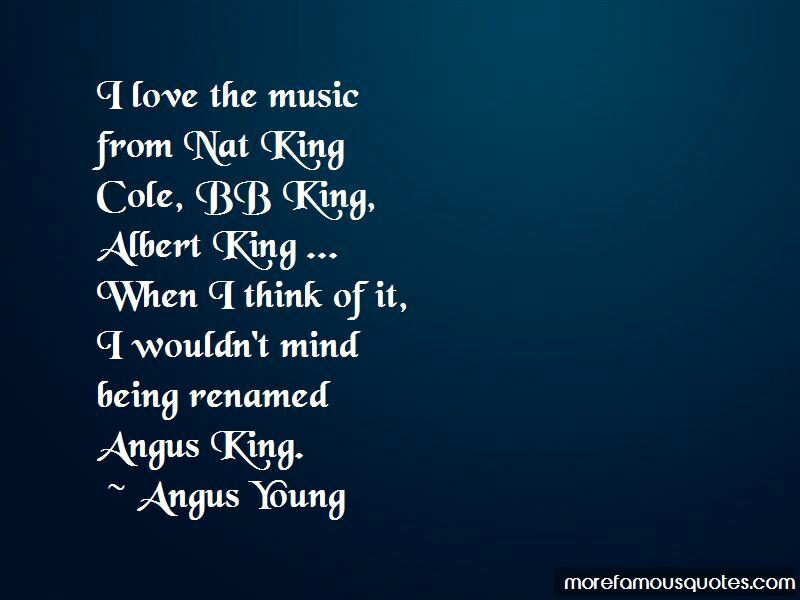 To us, the simpler a song is, the better, 'cause it's more in line with what the person on the street is. 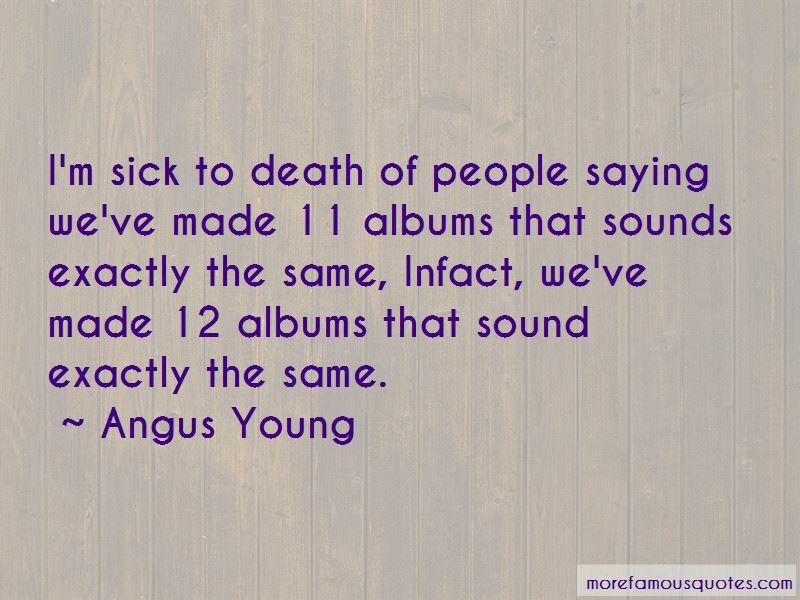 Want to see more pictures of Angus Young quotes? 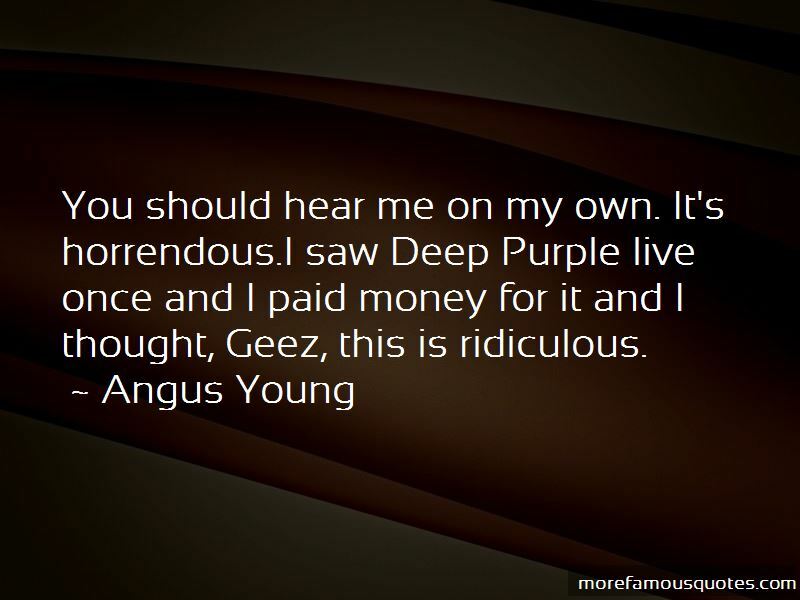 Click on image of Angus Young quotes to view full size.